Setting off a two~month blog~fest of author features/new releases and a special visit from an author who's on a blog tour of her own ~ but that's later in the month. For now, let's concentrate on Week 1 and. . . In the early fall of 2010 I had the privilege of responding to a call for influencers for an historical romance novel. I contacted the author via email and asked to be considered as an influencer and was answered shortly afterwards. I was told to expect the book to come in March or April of 2011. I put the note aside and went on about the business of creating my blog, getting involved in the E-Course loop, Prayer Loop and of course the great group I'd found in Scribes ~ all connections within my membership of ACFW and it's wonderful group of published and unpublished agents, editors and writers. 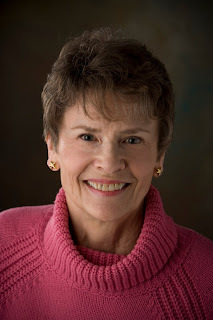 This Spring I saw an announcement about a new release coming out and the author is Ann Shorey. I immediately remembered my offer to become an influencer for the multi~published author and went to my file folders. THERE IT WAS! I emailed Ann and requested an interview to coincide as closely as possible with her new release and was graciously accepted right away. 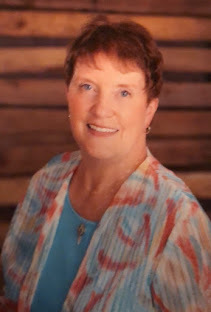 So, dear readers and followers, it is with my pleasure and gratitude I'm able to announce the kick~off of our Spring Blog~Fest with a new release and April's first great author ~ Ann Shorey. Join us now as we discuss the writer and the work. Adam's Media CUP OF COMFORT Series. She made her fiction debut with Book One in the At Home in Beldon Grove Series, which "THE EDGE OF LIGHT" released January 2009. 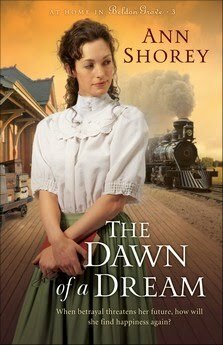 "THE DAWN OF A DREAM"
Third in the series, releases this month, April 2011.
lates when she writes the acknowledgments for her books. Ann may be contacted thorugh her website, www.annshorey.com which also contains her blog. Now, I want to give you, the readers an opportunity to learn from her own words who Ann Shorey really is and many things about her writing. We live in Oregon. I grew up on the southern coast of our beautiful state and now live a couple hours inland. As an adult, I lived in northern California for a number of years. I feel blessed to live where we do -- we're a couple hours from the ocean, and an equal distance from Crater Lake National Park in the Cascade mountains. What one thing about you would your readers be most surprised to find out? Shucks, Ann, I can't do either the nose or ear wiggling and my writing isn't near as advanced as yours. Speaking of writing, tell us what prompted you to become a writer (other than not finding work with the ear and nose trick)? I've always loved playing with words. My high school English teacher told me I should be a writer, but wiser heads insisted I find a career where I could earn a living wage. the writing urge wouldn't go away, however, and over the years I've taken college writing courses and private classes, in addition to attending many writer's conferences and soakin gup all of the instruction offered in the workshops. Back to some of your personal information, do you have a special place where you like to write? We've converted an unused bedroom into an office for me. It's painted in a restful color, and just this last month I got a new desk chair with super powers ;), and had bookshelves made to cover one wall to store all my research books and other writing paraphernalia. Just coming in here makes me happy! I can relate to that ~ my husband helped me do the same for my 'library'. In fact, I have 'keeper' shelves where I have fiction books from many Christian authors and your "THE DAWN OF A DREAM" has a place of honor on one of them. I write historical fiction. I had a number of nonficiton articles published before I turned to fiction, as my bio mentioned. What do you most look forward to writing about? I like changing settings from one series to another. The research process is one of the highlights (for me) of writing historical fiction. It's fascinating to learn about different parts of our country. Do you follow any specific form in your writing or are you a 'panster'? The more books I write, the more I realize the importance of having some kind of an outline before beginning. First, I create my main characters, then draw a story arc (yes, I literally draw it on a legal pad). After that, I write a two~page synopsis, then start chapter one. Of course, many changes happen along the way, so once I start the story, I'm more seat~of~the~pants. What, if any, are the obstacles you find to writing? Time is the biggest obstacle -- there's not enough of it. Of course, if I spent less time on Facebook, I might accomplish more on my manuscripts. What message do you want most to convey in your books, Ann? I hope each novel carries a Biblical truth, but overall God's faithfulness is the most important message in all my books. All good things must some time come to an end, but before we finish our conversation, is there anything you'd like to add? Something I may have forgotten to ask? Ann, it's been a pleasure having you answer my 'nosey' (not wiggling) questions and for being so generous as to spend the time doing so. Thank you for hositng me on your blog, Joy! I've enjoyed your questions. THE DAWN OF A DREAM HAS BEEN RELEASED ~ GET IT! Be sure to leave your comments for Ann and this first Spring Blog~Fest Feature! Thank you for hosting me on your blog, Joy! It's been "joyful" getting to know you through this process. What a great interview, Joy! Dawn of a Dream sounds purely wonderful. I love that writing Biblical truths is so important to you, Ann. As many of we writers know, our books are sometimes as close as some will get to reading the Bible. Great article. Blessings to both of you!